Even if you’re diligent about cleaning year-round, when winter’s over there’s always some spring cleaning in order. The right tools make it a less miserable chore. Get a year’s worth of grime and mildew off your deck and siding in minutes with a pressure washer and an oxygen-based bleach solution. Mop floors with a good self-wringing string head mop; save the sponge mop for lighter everyday jobs. If you have wall-to-wall carpet, a steam cleaner is your best friend. 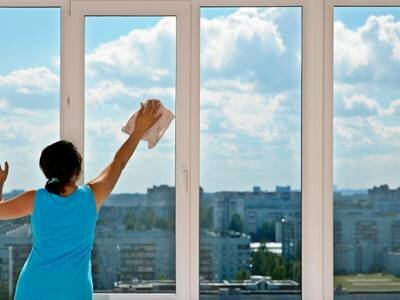 If you do windows, a solution of white vinegar and water is a great glass cleaner, and old newspapers work as lint-free window wipes. You can use a damp cloth with a little vegetable oil on wood surfaces, microfiber dustcloths on dusty electronics. Use a lint roller for lampshades, and rubber gloves for pet hair on the couch. Keep all your tools in a rolling cart and lighten your cleaning load year round!